It's about time that I post another aquarium update. 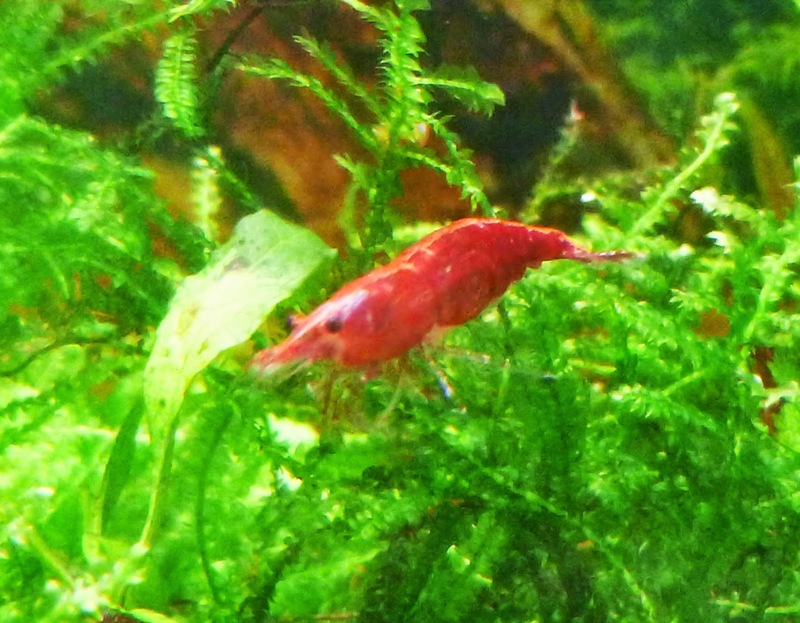 Well, I have red cherry shrimps now. 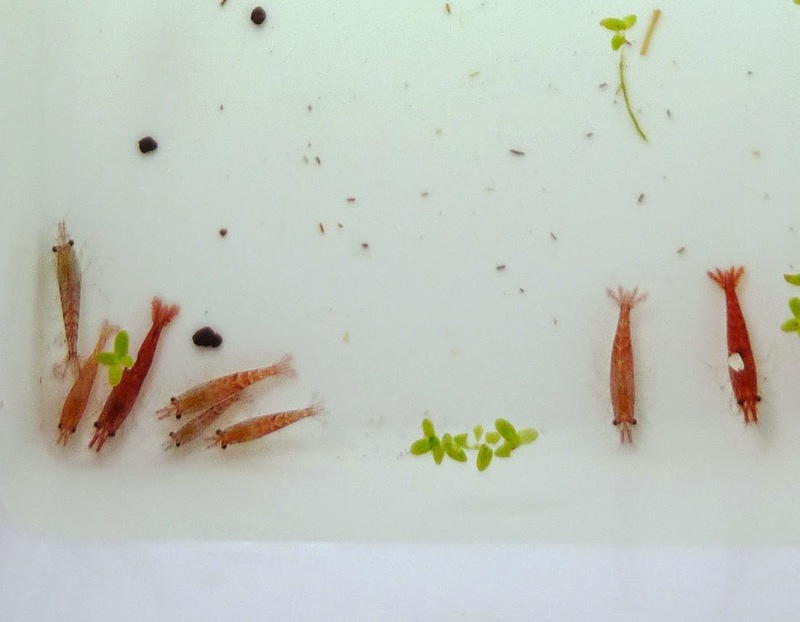 I really struggled to find male shrimps. When I went to the aquarium store, I asked for a mix of males and females. The seller didn't seem to know the difference between males and females. So I made sure that I got a few that had a male-like appearance and waited. 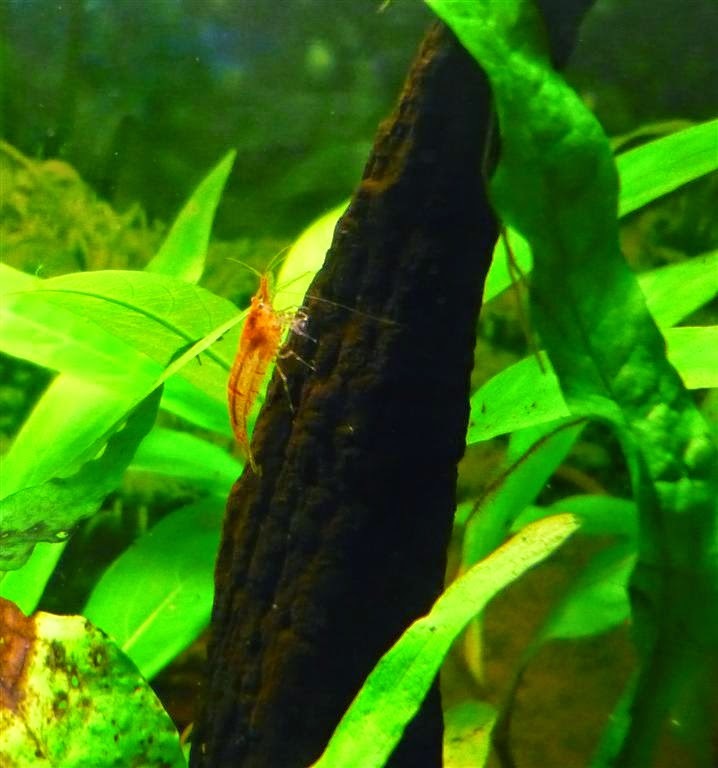 After a few months, all 10 of my shrimps had the "saddle". This is the white line of unfertilized eggs that appears on the neck of female shrimps. So yeah...all my shrimps were female. Then I went to another shop, got 4 more shrimps. Again, all female. I figured that stores don't sell males here, either because they are less colorful or because they don't want people to breed shrimps themselves.